About Temi - temi-raphaelovas Webseite! "Anyone who lives within their means, suffers from a lack of Imagination." 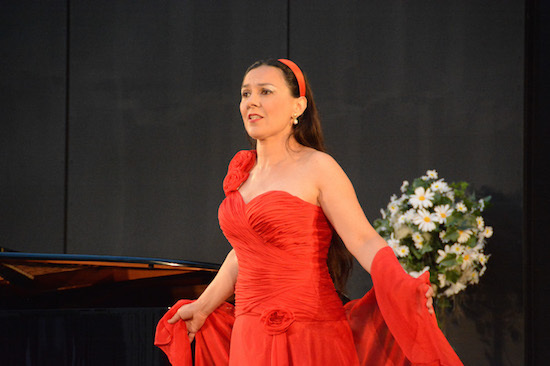 Since 2014 the bulgarian soprano Temi Raphaelova is member of the Dresden Residence Orchestra. She appears successfully in various concerts in the Marmorsaal of Dresdener Zwinger with her rich repertoire of opera-, operetta- and concertsarias, as well songs, lieder, musical, chansons etc. Presently she sings in the new production "Zauberflöte mal anders" too. 2019 Temi go on to sing some of the greatest operetta arias and duets with the Bariton Daniel Blumenschein, the "Wiener- Walzer-Orchester" and "Johann Strauß Chor" conducted by Erik Schober on variuos places in Germany.